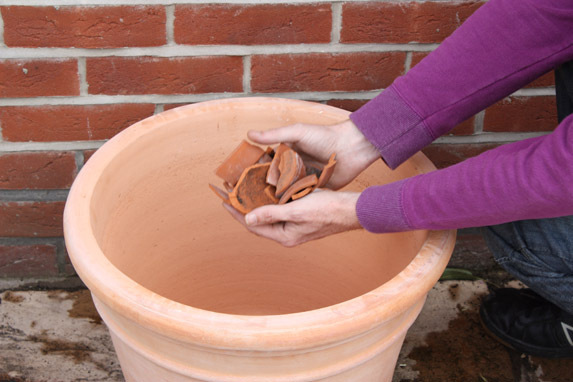 1) Add a layer of crocks or similar to the bottom of your pot for good drainage – also set the pot on feet or bricks to keep water draining away adequately. Adding a handful of grit to your compost will also help. 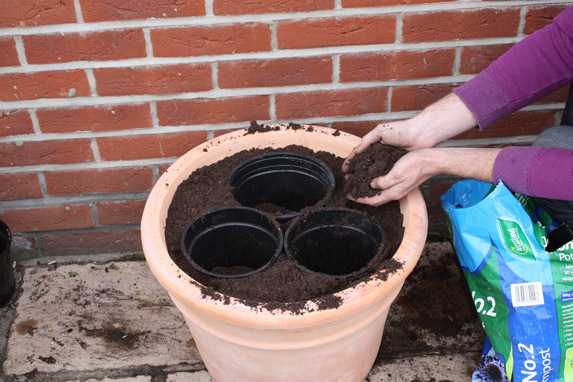 2) Fill the container with a soil-based compost – JI No.2 or No.3 is ideal. 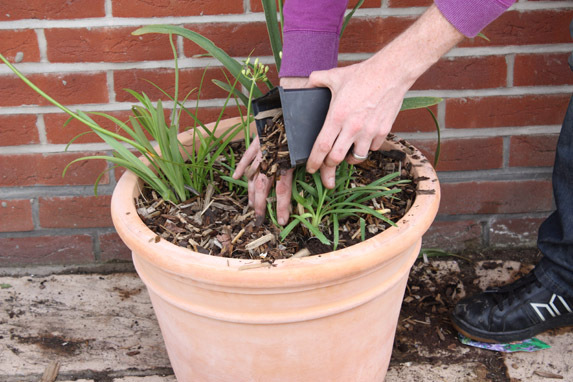 As you near the top, remove the plants from their pots and push the pots into the compost to create perfect planting holes. 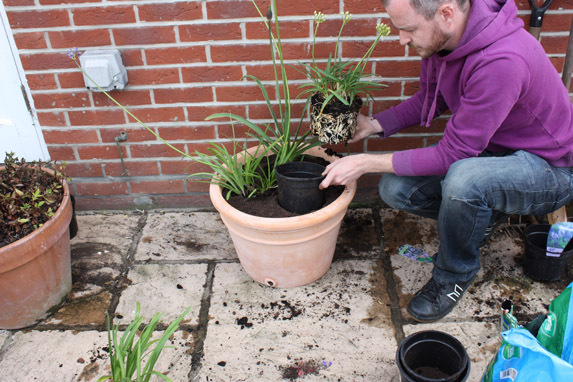 3) Remove the plastic pots from the compost and replace with the plants. Position taller plants at the back. If planting in open ground, plant lofty varieties centrally with smaller ones surrounding. 4) Water well to settle in. A decorative mulch is optional as your plants will soon cover the soil surface, but an organic mulch will help to retain moisture as they settle in to their new home. There are both deciduous forms and semi-evergreen types, but both will likely need winter protection to get them through to spring. In late autumn cover pots in bubble wrap (right)and protect crowns with a 6in (15cm) layer of straw. Next year’s flowering can be poor if plants are allowed to dry out this season. 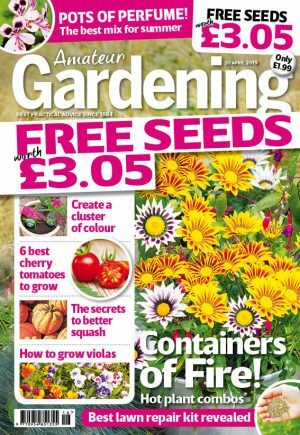 Keep them well watered through to autumn to aid next year’s bud development. Reduce watering in winter, aiming to keep soil just damp. Apply a general purpose liquid feed every few weeks through the growing season to encourage development of large flowers and lush foliage.